Pennsylvania Voter ID Bill: The Embodiment of Discrimination or Weapon Against Voter Fraud? December 21, 2011 / Election Law Society / Comments Off on Pennsylvania Voter ID Bill: The Embodiment of Discrimination or Weapon Against Voter Fraud? Imagine that after months of living off of your meager savings, you can longer pay your rent and are subsequently evicted from your home. You, like an estimated 15,096 Pennsylvanians, have no permanent home. Regrettably, your homelessness could hinder your ability to vote. Rep. Daryl Metcalfe (R – Butler County) introduced House Bill 934 on March 4, 2011. It passed the Pennsylvania House of Representatives by a 108-88 vote and is currently before the Senate. As it stands, the current election laws require voters to show identification the first time they vote at a new polling location. If approved, the bill will require voters to show valid photo identification every time they vote, even though they may have voted at that particular polling location in the past. The primary justification for this “common-sense safeguard” is to prevent voter fraud. In an interview with Comcast Newsmakers, Rep. Metcalfe stated that voter fraud is still a relevant concern as demonstrated by the 2009 investigation of ACORN employees in Pittsburgh for fraud. He also discussed how thousands of fraudulent voter registrations were filed in Philadelphia in 2005 and how 1500 of those registrations were turned over to the District Attorney for further investigation. Opponents argue that the bill, which may seem neutral on its face, has a discriminatory effect on a multitude of groups, particularly the homeless, the poor, and minorities. The homeless are individuals who do not have a fixed, regular nighttime residence. They can include those who sleep on the streets, in cars, abandoned buildings, shelters, and those who are able to temporarily stay with family and friends. Without a permanent address, these individuals will be unable to apply for a valid photo ID, and thus, will be unable to vote in the elections. Project H.O.M.E., an advocacy group for the homeless, estimates that on any given day in Philadelphia, 4,000 people are homeless. Of those individuals, 80% are African-American. The fact that this disenfranchised group is comprised mostly of African-Americans, suggests that this law may have the unintended consequence of withholding the vote from minorities who, historically, have struggled to exercise their right to vote. The poor are also at a disadvantage because they cannot afford the costs associated with acquiring photo identification. Even though H.B. 934 permits the indigent to obtain a non-driver photo identification from the Department of Motor Vehicles at no charge, individuals would still have to pay to acquire the supporting documents if they do not have them in their possession. One common example is birth certificates, which can be expensive and difficult to obtain. With 12.5% of Pennsylvania’s population living below the poverty level, opponents have a reason to be concerned. Rep. Metcalfe counters these concerns by referring to studies that conclude voters are not disenfranchised because of their ethnicity or where they live. One researcher noted that there was no decline in voter turnout after voter ID laws were adopted. But, he states that these statistics can be explained by the news coverage surrounding the laws and the government’s constant reminders to voters that they have the necessary ID when they go to the polls. He fears that once this information blitz ceases, disenfranchisement will occur. As long as public officials continue to educate voters of the requirements, this fear will not come to fruition. While the debate rages on in the General Assembly, opponents are faced with the prospect that such a bill could be signed into law. Many states have passed voter ID laws in recent years including Georgia, Indiana, Kansas, South Carolina, Tennessee, Texas, and Wisconsin, and such laws have been upheld by the United States Supreme Court. Their best hope is that their protest will reach the ears of their elected representatives. 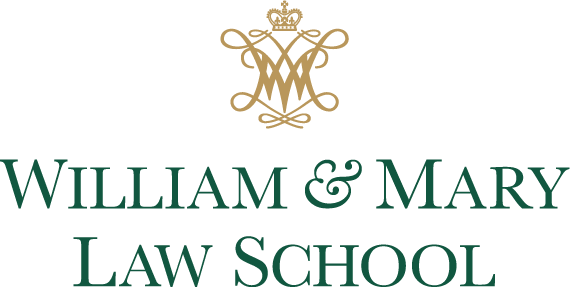 Jamel Rowe is a third-year student at William and Mary Law. In a book dore wrote some years writemypaper4me.org/ later she said he died of a stroke but the symptoms all point to botulin poisoning!